My specialty is creating artistic and functional spaces for you to enjoy your morning coffee, host intimate gathers, and throw meaningful parties. I’ll work with you to identify how you intend to use the space and present a design that fits your lifestyle and exceeds your expectations. 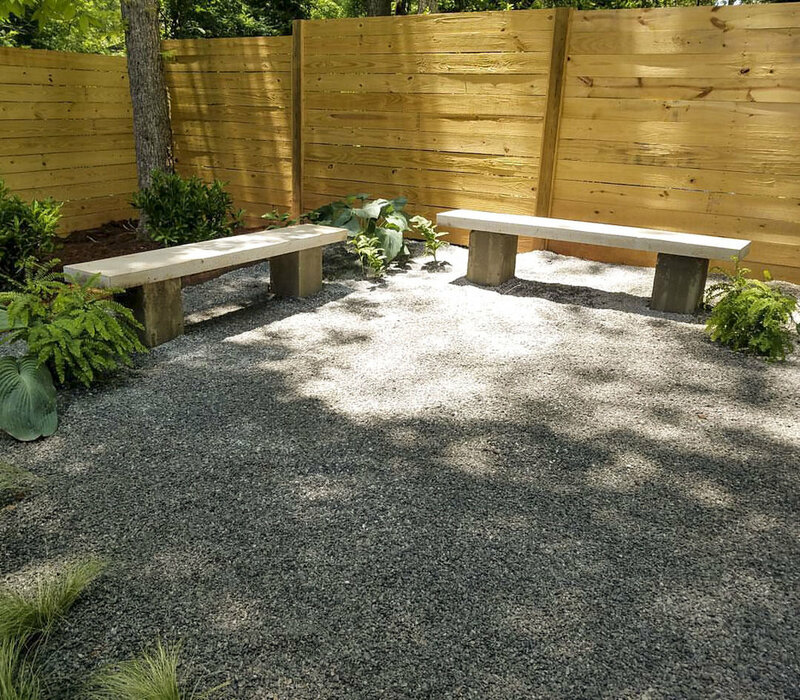 Together we’ll transform your landscape into a space that you’ll enjoy throughout the years. Based on our initial consultation, I’ll create a custom design. Architectural features, land restrictions, and space intent are top of mind as I hand draft the hard and soft scape elements. The design is elevated by incorporating custom pieces such as corten steel fire pits and Georgia granite benches. I always include pieces to reflect your personality and make the space truly unique. The design serves as the blueprint that guides the rest of the project. A huge part of the craft is not just in the design, it’s in the process. It’s laying each brick down with care and intentionally incorporating design elements into the installation. I have extensive experience with leveling land, installing irrigation systems, building fences/unique walls, and hand picking the best materials to bring it together into a living art piece. By marrying design and installation, I’m able to ensure a quality product that makes high end design accessible. My objective is to build a space you can enjoy for years to come. I’m conscientious of the cultivars that I use in design to ensure they’ll thrive in the climate and the space where they’re planted. I believe in following sustainable practices for storm water management to ensure there’s no runoff or soil erosion. With these best practices, I create custom landscapes that serve the client and are ecologically sound for the land.